XTEND Ripped is a revolutionary cutting formula that promotes lean muscle growth while packing in ingredients like CLA and Capsimax to help enhance fat loss. 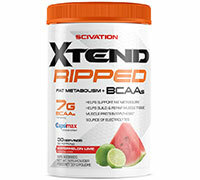 XTEND Ripped builds on the clinically studied XTEND BCAA powder formula that promotes lean mass, muscle strength, and fat loss. CAPISMAX® CAYENNE - Capsimax® Cayenne fruit extract supports the mobilization of fats for energy production. Sucralose, Acesulfame Potassium, FD&C Red #40. 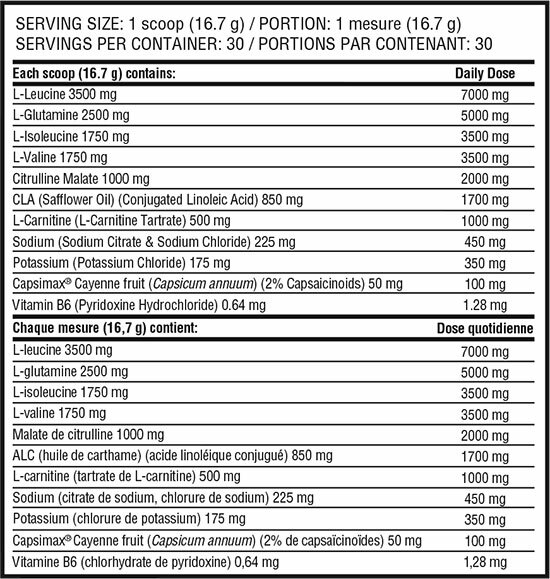 Adults take 1 level scoop 1-2 times per day. Mix each level scoop in 10-14 fl.oz of water (adjust for taste preference) and shake well. On training days consume 1 level scoop during exercise and 1 level scoop after exercise.